Time to catch up on the latest books and ARCs that have come to the Scalzi Compound! 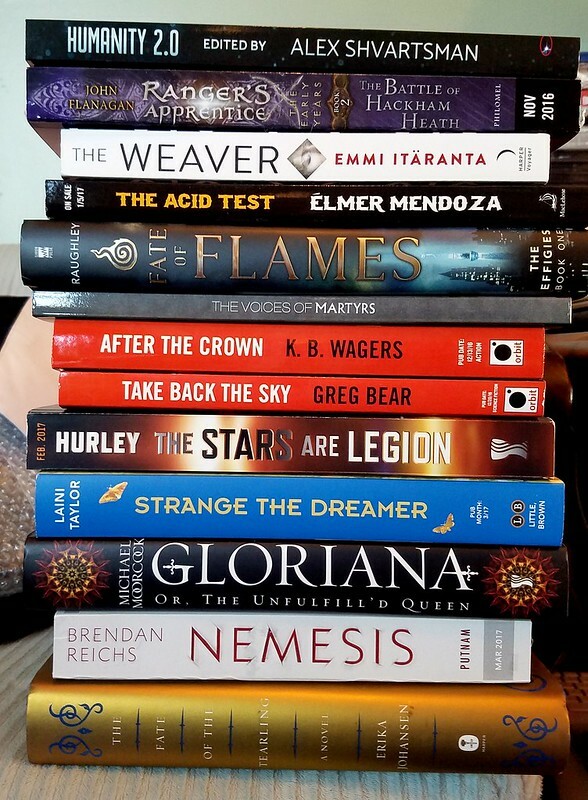 What in this stack looks particularly appealing to you? Tell us in the comments! For those of you hoping for a print edition of The Dispatcher, your hopes have been answered: Subterranean Press will be releasing its version in May 2017. In addition to standard trade hardcover and eBook editions, Subterranean is also offering a limited (400 copies), signed edition for collectors and especially fervent fans. You know who you are, and yes, I love you dearly. 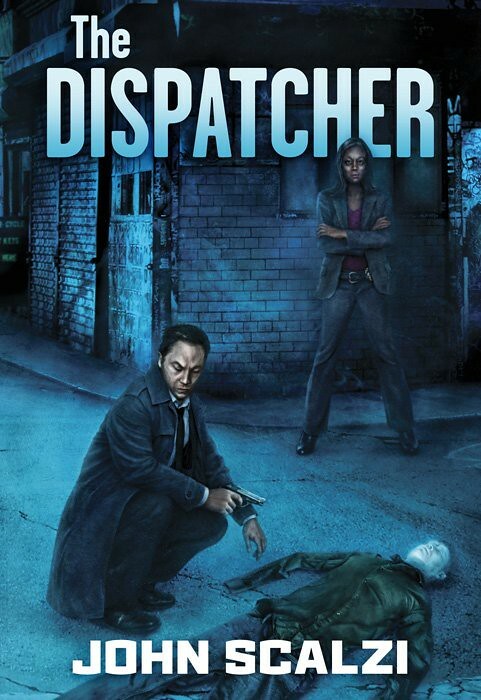 Note that the Subterranean version of The Dispatcher cover with both cover and interior art by the amazing Vincent Chong, who has done fantastic work on many other of my SubPress releases, including the OMW limiteds, and The God Engines (his work on that remains a personal favorite). When SubPress told me Vinnie was on the case again with The Dispatcher, I may have squeeed just a little. His work here continues to be sublime. This is also a fine place to thank everyone who downloaded the audio version of The Dispatcher during October. We moved tons of them (like, six figures worth), which made both me and Audible happy. This Subterranean version also makes me happy. Basically, I’m just kind of happy about the story.